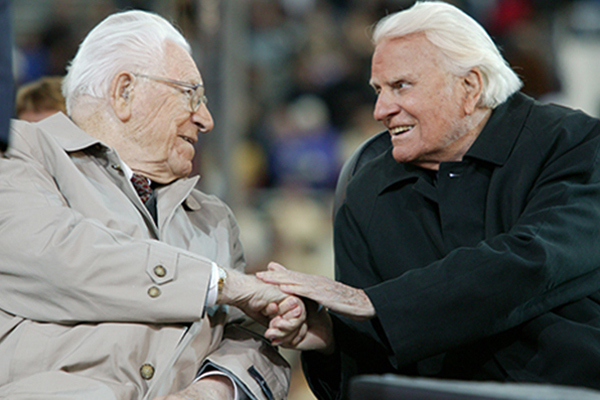 Last week, 99-year-old Billy Graham entered the presence of Jesus. (See Christianity Today’s special issue dedicated to him, as well as John Piper’s tribute.) In 1970, as a brand new Christian, I heard Billy Graham for the first time at a crusade in Portland, Oregon. 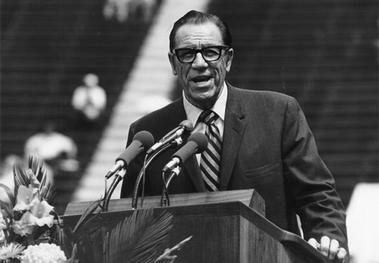 His friend George Beverly Shea, the soloist who preceded Billy in song in Crusades over the span of nearly sixty years, sang How Great Thou Art. Over forty years later, in 2011, I was teaching on Heaven at The Cove, the Billy Graham Training Center in Asheville, North Carolina. To everyone’s surprise, including mine, just before I got up to speak they brought in George Beverly Shea in a wheelchair, along with his dear wife, shortly before his 103rd birthday. After George died at age 104, the Billy Graham Association contacted me and asked if they could use my video! Apparently it was the last time George sang publicly. Incredibly, over his lifetime he sang in person to a quarter of a billion people, more than anyone else in history. I will never forget that powerful evening. It was the best lead-in to speaking I’ve ever had. When they wheeled him off the platform, I stopped the recording, wiped the tears from my eyes, and got up to speak on Heaven, with George Beverly Shea in the front row, eyes bright and smiling and nodding as I spoke. God was my primary audience, as always, but George was easily the second. And as you’ll see, he was incredibly delightful that night. Talking about the wonders of Heaven as I looked into the watery eyes of this man who I had heard sing How Great Thou Art as a new teenage believer was surreal. Afterward George said some kind words to me. This is the blog I wrote a few weeks after that experience, with links to two more videos I made of George that night. That’s exactly what these faithful men did with the years God gave them. I look forward to seeing George, Cliff, and Billy again in a far better world! By the way, since criticism of Billy Graham has been brought up since his death, I want to note that of course many of us disagreed with various aspects of things he said and did. That comes with the territory. However, it is sad to see some of the undeserved, unfair, and mean-spirited criticism launched against him. For a response to one highly critical column on Billy Graham, check out Owen Strachan’s article Defending Billy: Responding to George Will’s Fierce Critique of Billy Graham. This was my response: Have you actually listened to the messages of Billy Graham or read any of his books? What you say he said is not what I ever heard him say. “Do your best” and “works salvation”? That was not his message! I disagreed with Billy in various areas but in terms of the redemptive work of Christ and belief in him as the sole basis of salvation, not by works but by faith, I fully agree with him. 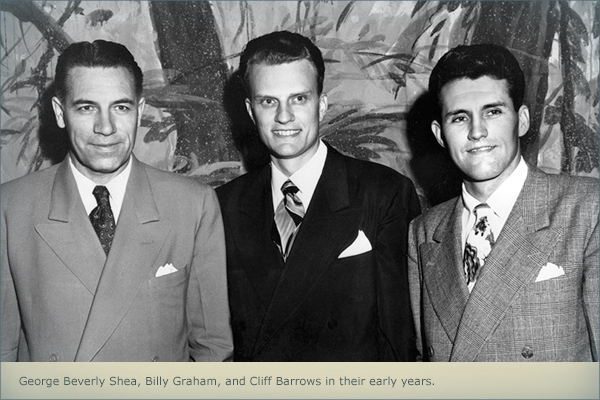 George Beverly Shea, Almost 103 Years Old, Sings "How Great Thou Art"
The recent report of Billy Graham being taken to the hospital with the possibility of pneumonia prompted me to think of one of Billy’s closest friends, who is ten years older.